Our New England wall bed is both elegant and traditionally styled to be an integral feature of a home study with enduring appeal. The warm tones of the Maple finish gives this room a welcoming feel that will blend seamlessly into any home environment. 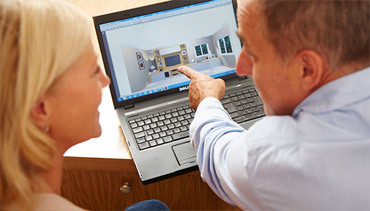 Our expert designers can also create additional fitted furniture features, such as illuminated display cabinets, overhead shelving and spacious file drawer units with a traditional inspiration. 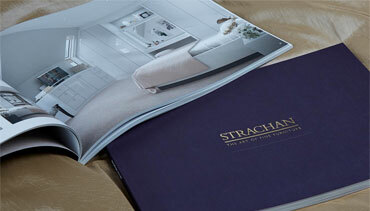 Enjoy complete comfort in your Strachan multi-purpose room. All our convenient wall bed designs feature an easy pull down or side fold function and are available as a single or double bed. We will also provide a comfortable mattress, allowing your guests to indulge in a relaxing night's sleep and spacious spare room all in one. 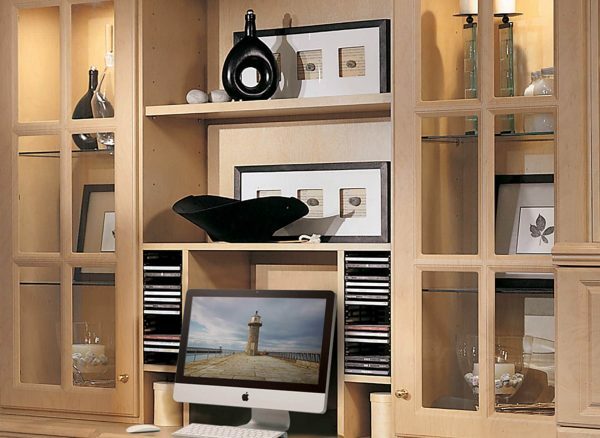 Display your prized possessions with pride in your bespoke Strachan cabinet. This traditional New England design is completed with attractive wood panelling and a glass front. Internally, it has been configured to include sleek glass shelves and glamorous LED lighting to draw attention to your own personal touches. 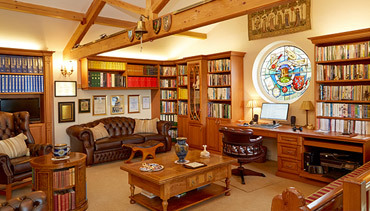 We can create stylish work solutions that are uniquely fitted for your multi-purpose room. 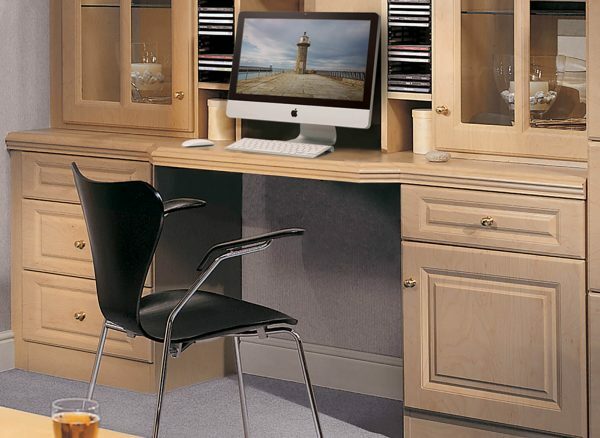 Your designer can help create a spacious work desk, along with customised storage options, such as hidden filing cabinets, built in CD racks and slide out printer trays, that help you effortlessly transition from peaceful night to working day.